Immediately contacting us after your accident can help us gather vital information about your case. Details are remembered best right after the accident, and the more detail you can give us, the stronger case we can present. When to Contact a Chicago Pedestrian Accident Lawyer? CALL 312-372-7250 NOW or CONTACT YOUR ILLINOIS ACCIDENT LAWYERS HERE – THERE’S NEVER A CHARGE UNTIL WE WIN! People walk across the street every day, most without anything more disruptive to their routine than a flashing red hand. That might have been your situation until something horrible happened—you were hit by a car. 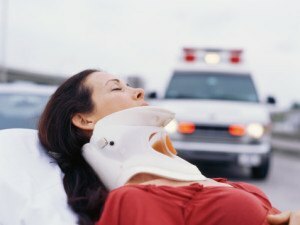 Injuries from being hit by a car can be as little as a few scrapes and bruises. In your case, the injuries might have been serious enough to require medical attention. When you feel ready to take action against the person who hurt you, no matter what your injuries were, a pedestrian accident injury lawyer at Kurasch & Klein can help you do so. Our team of pedestrian accident lawyers at Kurasch & Klein are dedicated to putting your wishes and needs first. We love what we do, which means we are able to bring passion and dedication to our clients in every case. As your pedestrian accident injury lawyers, we will always keep you in the loop about your case. Contact us today to get us fighting for you.